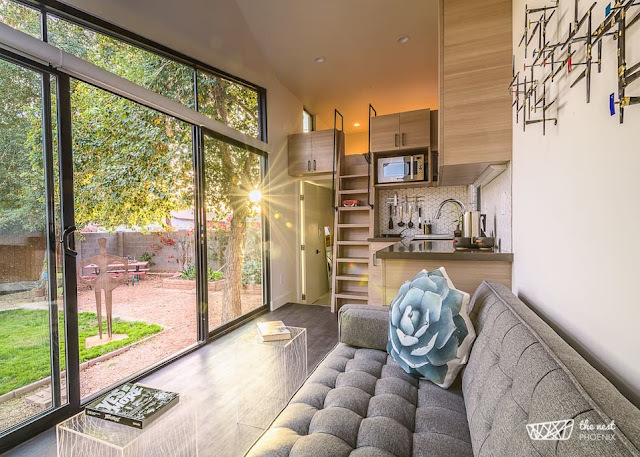 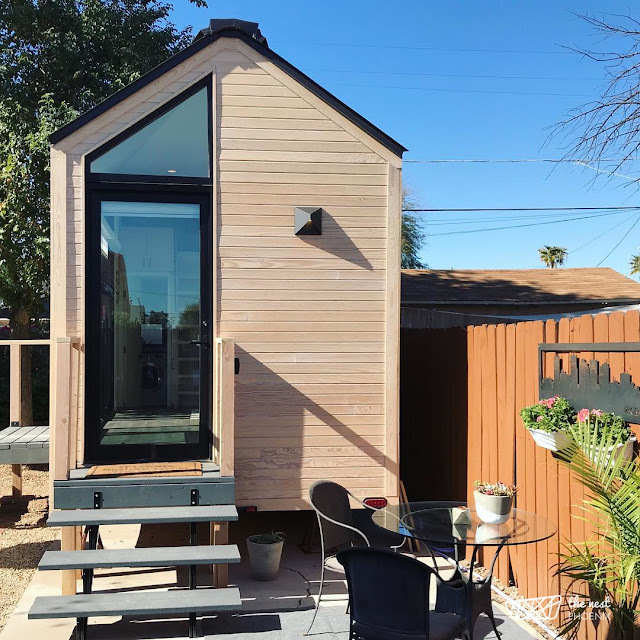 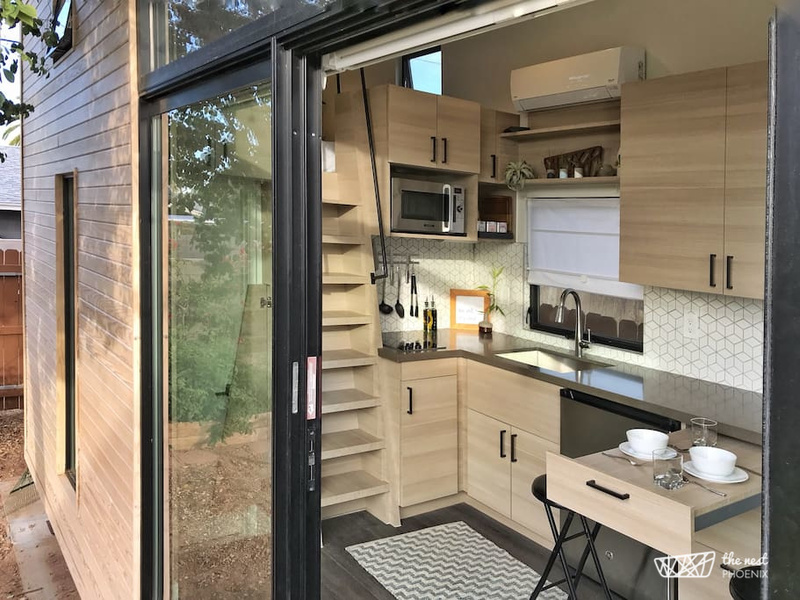 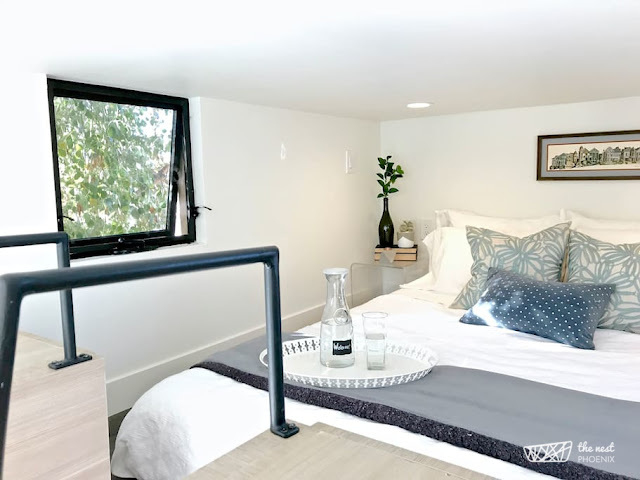 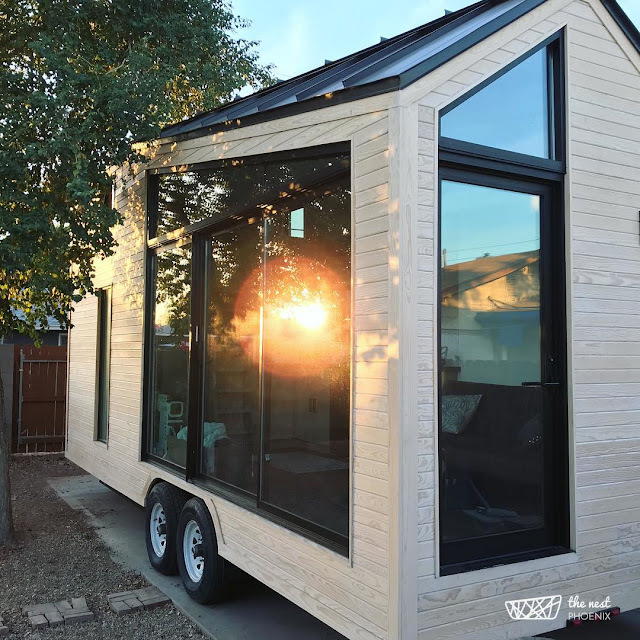 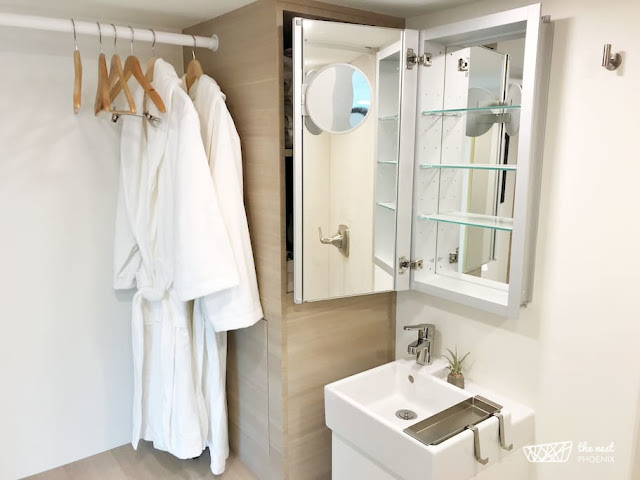 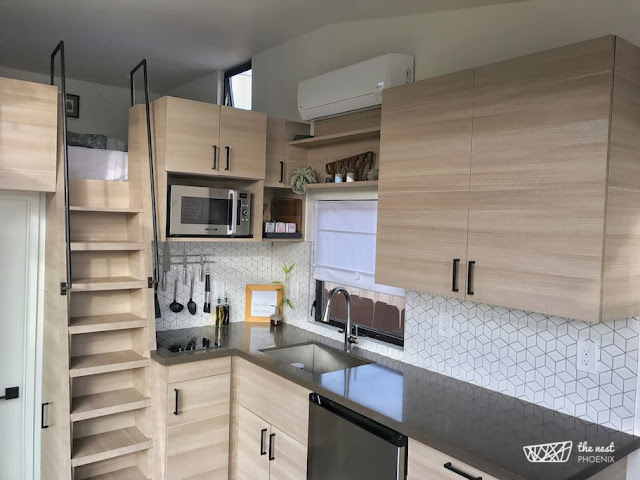 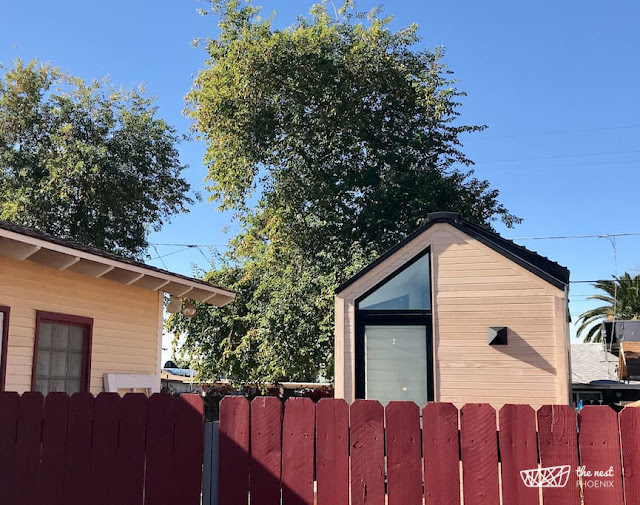 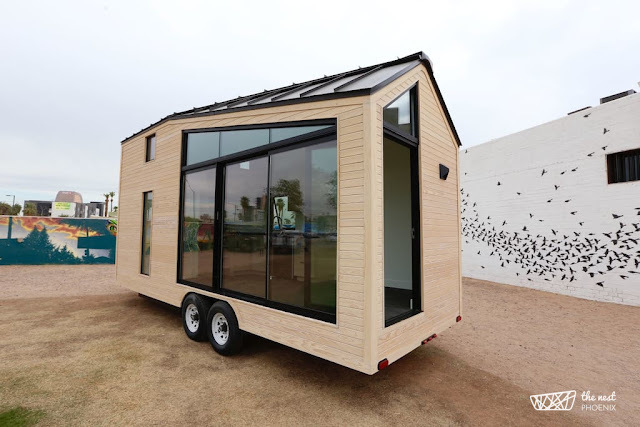 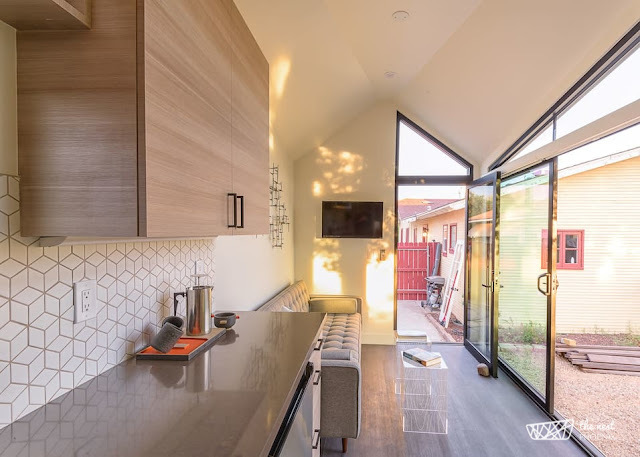 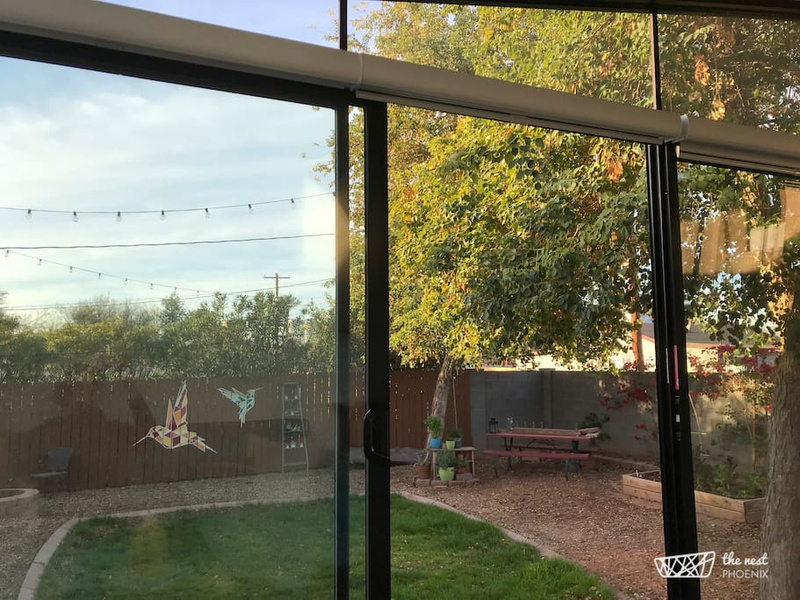 Experience tiny house living for yourself in a sleek modern tiny house in Phoenix. 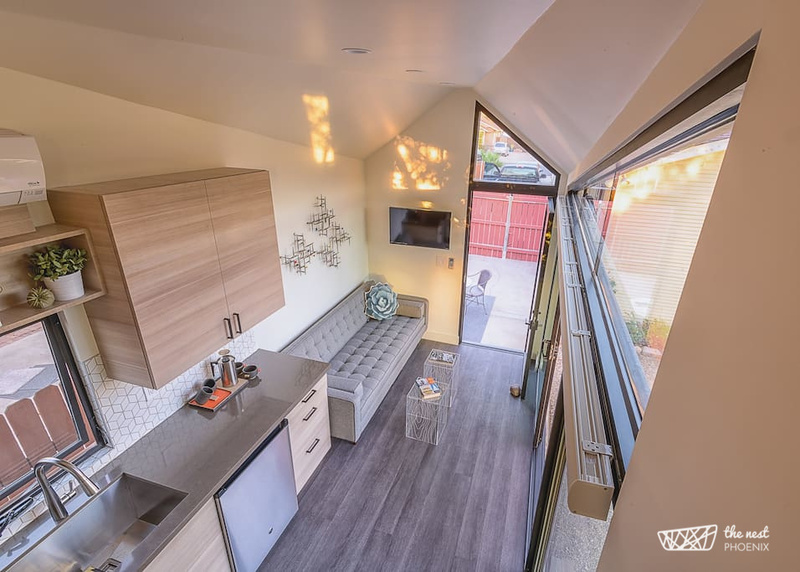 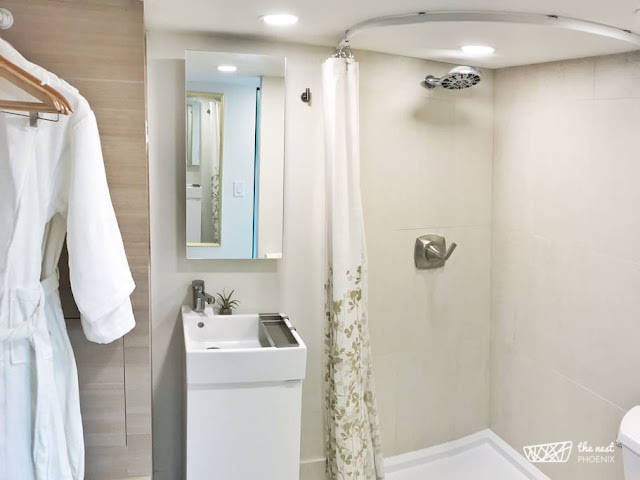 Located in the Coronado Historic District, it’s a cozy and unique alternative to a hotel! 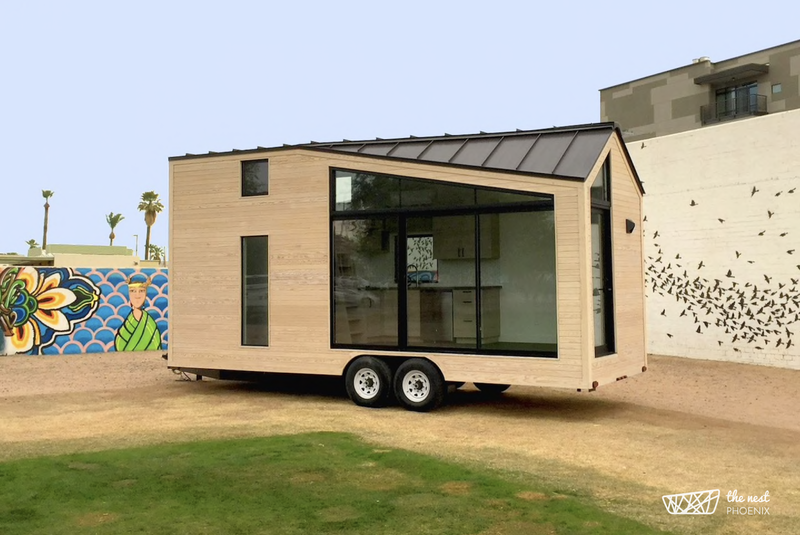 Named “The Nest” the home is built onto a 24’ x 8.5’ trailer with an interior of 260-sq-ft. 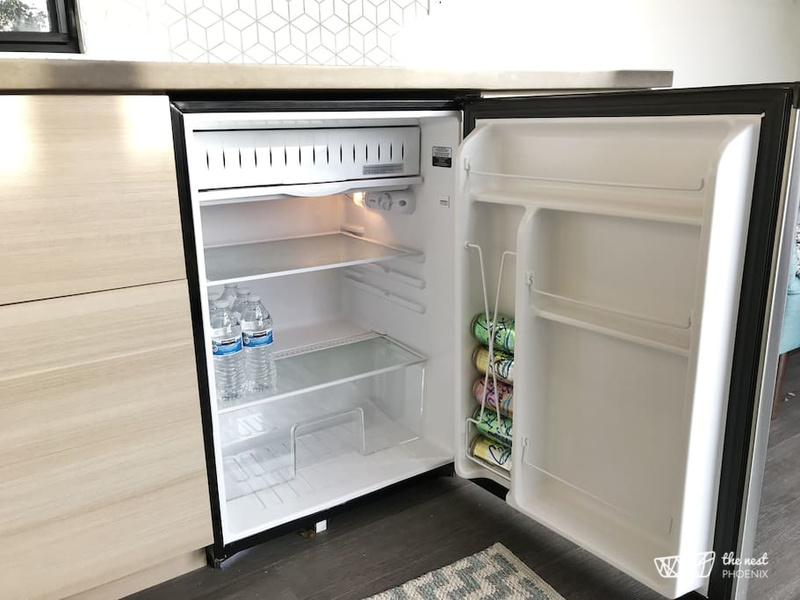 Inside is a kitchen that comes equipped with a fridge, two-burner cooktop, and a convection microwave. 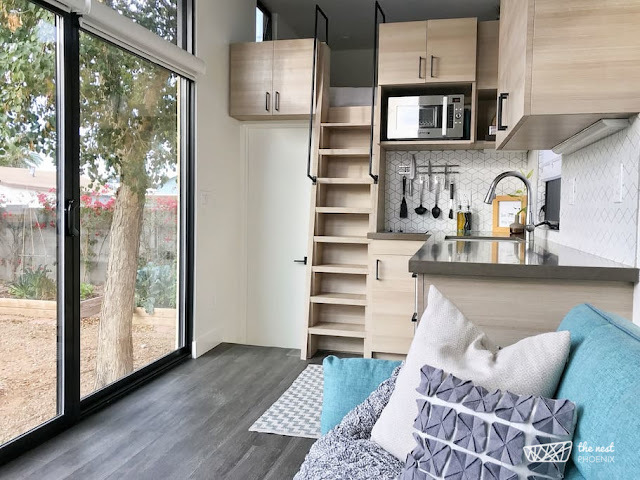 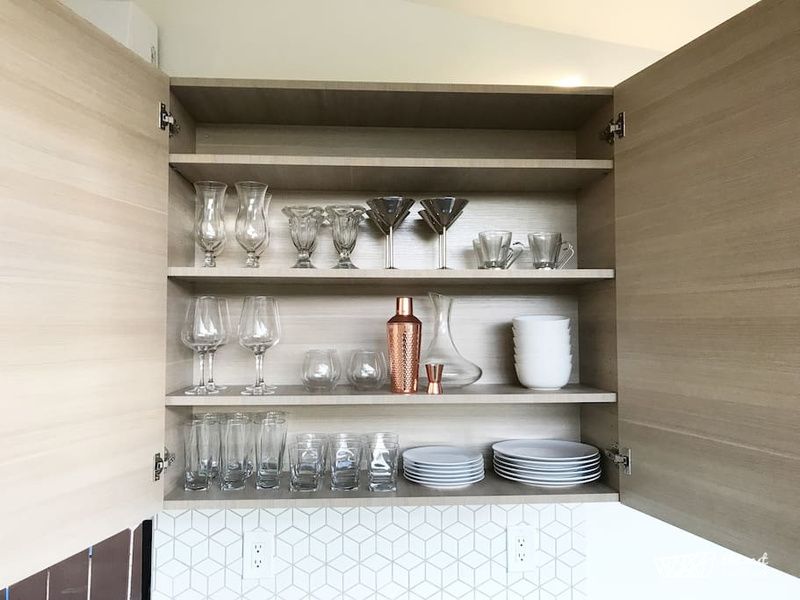 There's also a "pull-out peninsula" that adds extra counter space or creates a place to eat or work. 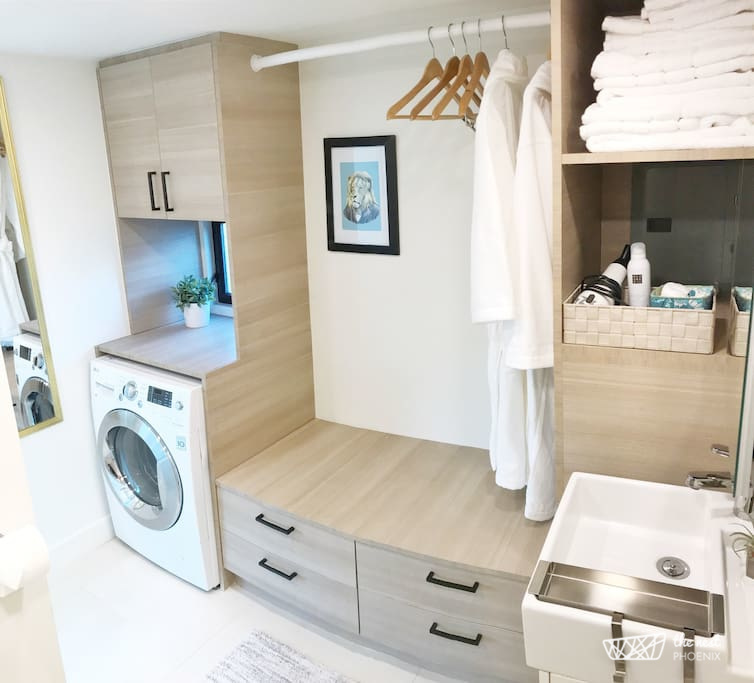 Two stools are also provided in a closet by the stairs. 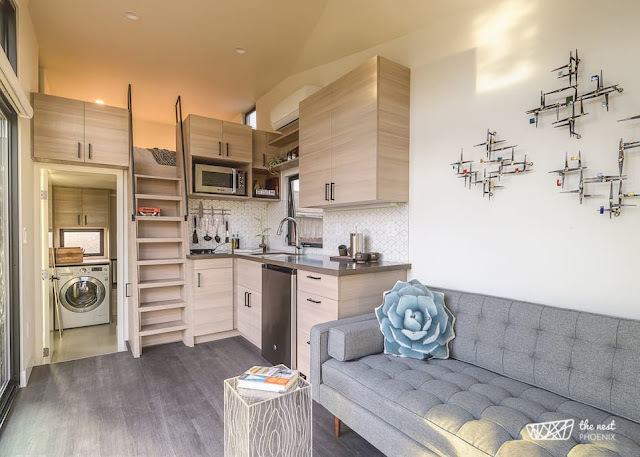 Also included is a living room with a sofa, a bathroom with a washer/dryer unit, and a loft bedroom with a queen-sized bed! 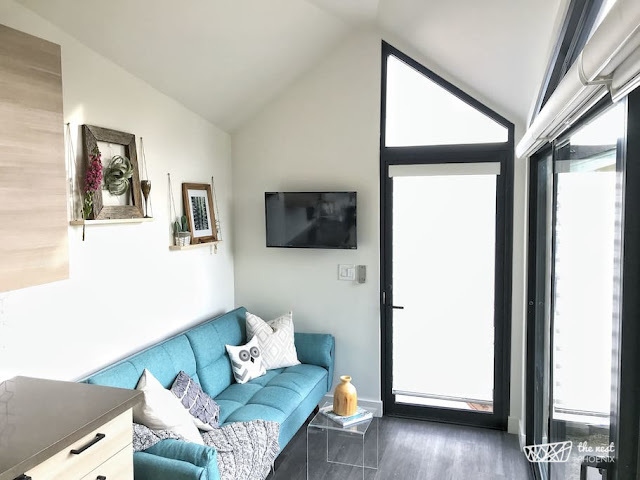 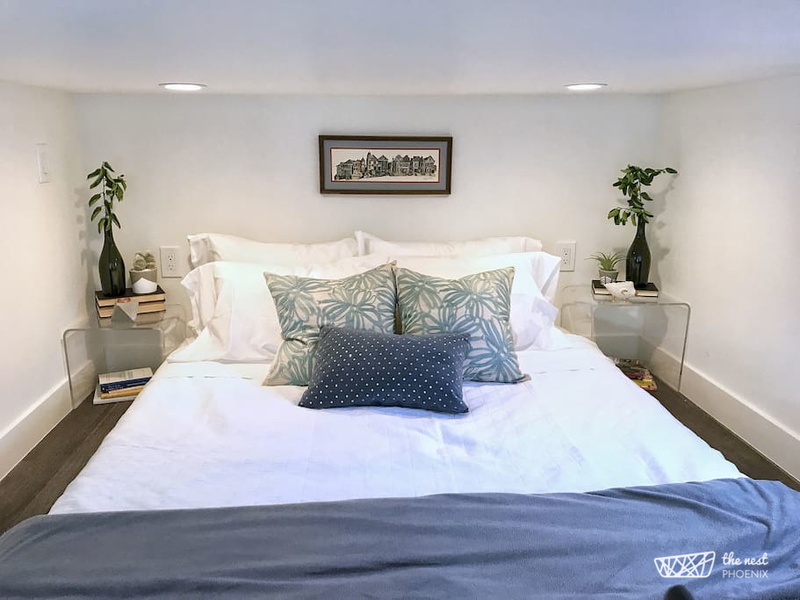 The Nest is available for booking here on Airbnb for $95 a night! You can also follow the home on Instagram here!